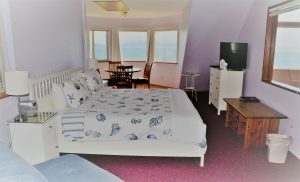 The Seaside Lodge located adjacent to the Inn is situated on the bluff overlooking Bishop’s Beach. 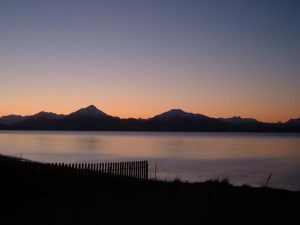 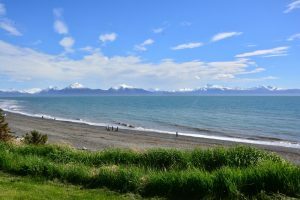 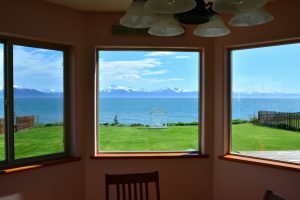 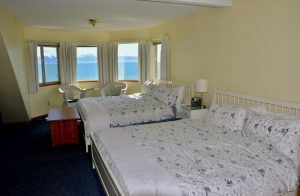 If you are looking for lodging near Kachemak Bay, our Seaside Lodge is a perfect choice. 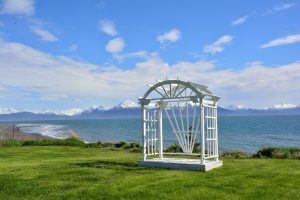 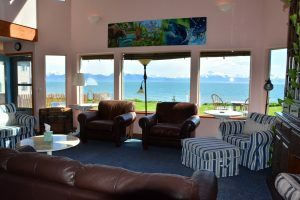 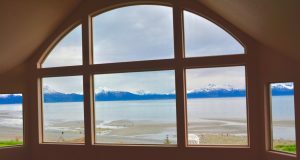 The Lodge offers modern, spacious, rooms with beautiful views of Kachemak Bay’s mountains and vistas. 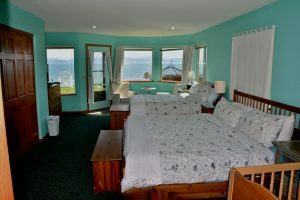 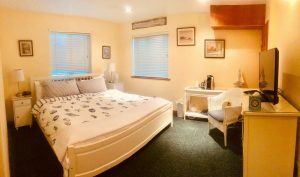 The lodge has a total of five bedrooms with private baths and can accommodate up to 17 people. 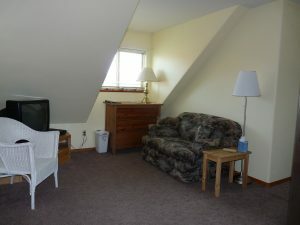 Deluxe rooms include king size beds, private bathrooms, WiFi, cable TV and a spacious sitting area. 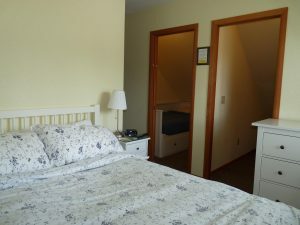 Three of these rooms also include additional beds and a crib is available upon request. 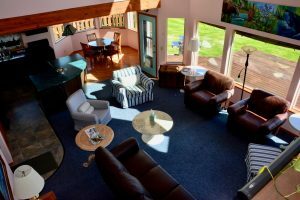 The lodge is designed for individual visitors, honeymooners, families, or groups, making it a perfect location for weddings, family reunions, business retreats, small conferences, and meetings. 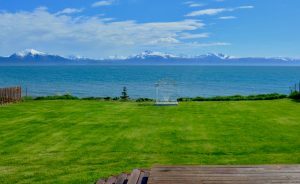 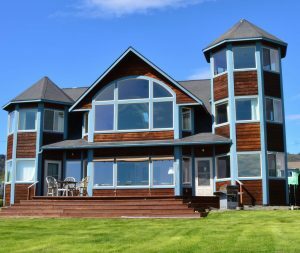 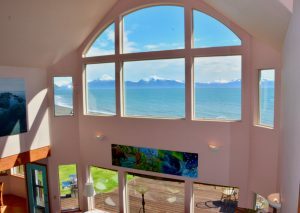 Adjacent to The Seaside Lodge, the Kachemak Cottage features 2 bedrooms, a loft and and 1 1/2 baths. 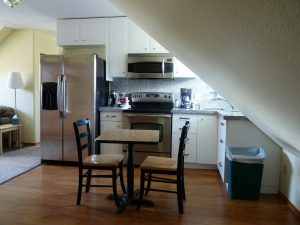 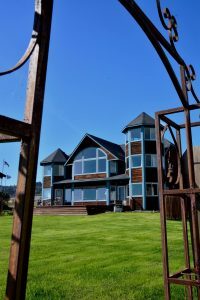 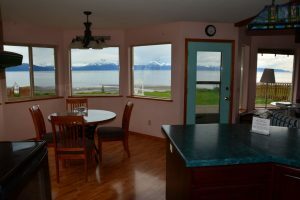 Modern, spacious, rooms overlooking Bishop’s Beach and Kachemak Bay. 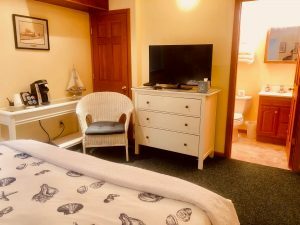 Our Deluxe rooms include private bathrooms, WiFi and cable TV. 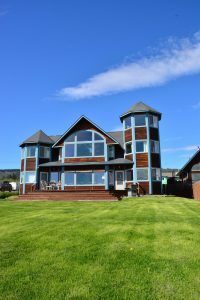 The Lodge offers an outdoor BBQ grill and a common area stocked with tea & coffee. 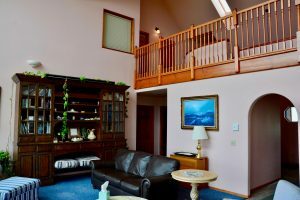 The Lodge will accommodate up to 17 people and is perfect for small Business Conferences/Meetings or family parties. 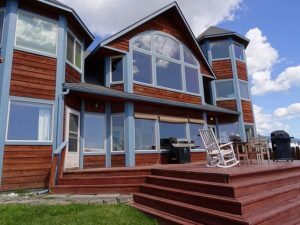 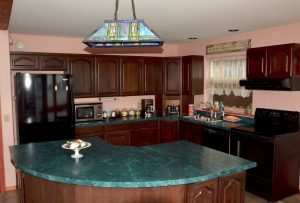 Large parties may rent the entire Lodge; please call for rates.